I hope today’s enjoyable with friends, family, or a significant other whether you’re celebrating Single’s Awareness Day or Valentine’s Day. Either way, enjoy the seemingly endless supply of chocolate today! These days, everyone wants to add some sparkle to their outfit, whether it be for a night out on the town or just subtle shimmer during the day. Why? Because sparkles add something more to an outfit, giving it a little more energy. If adding sparkles to an outfit seems a little over-the-top, paint them on nails instead. This nail look was done with a random berry pink nail polish I had and the shimmer is Revlon Top Speed nail lacquer in Metallic 860. 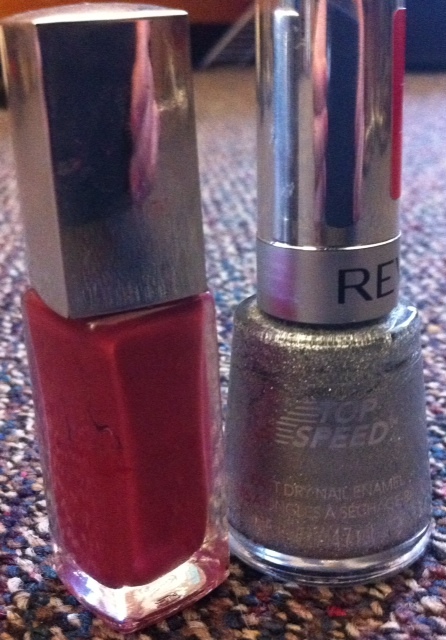 Step 1: Choose your favorite base coat (my favorite is this one by Sally Hansen. It’s a base and top coat in one) and paint it on your nails. Let dry. Step 2: Take a berry pink nail polish (like Fiesta by essie) and paint two coats on your nails, letting them dry in between. Step 4: Take your favorite top coat and paint over. It’s one thing to just have pink nails for Valentine’s day or any day in general, but it’s another to add a cute design to your nails. 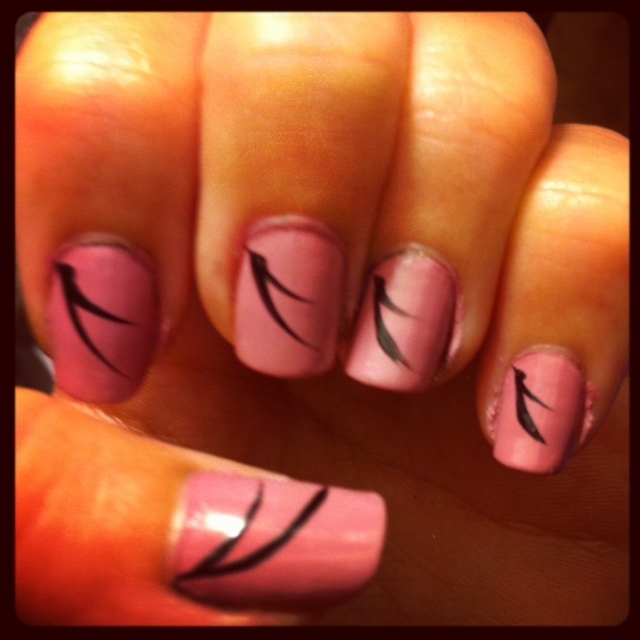 For these nails, the black feathers (as I’d like to call them) can be done on one nail or all. If you’re going to put them on one nail, I’d suggest the thumbs. Step 1: Of course, always paint a base coat. Step 2: Choose a light pink color (mine is Sephora by O.P.I. in Casting Call), light enough so that you’ll be able to see the black feathers that will be painted on later. Step 3: For the black feathers, grab a black nail polish pen (try this Sally Hansen Nail Art Pen) and starting from the bottom right corner of your nail, quickly slide the pen across in a curve, almost hitting the other corner of your nail but not quite. Make another, smaller curve underneath. 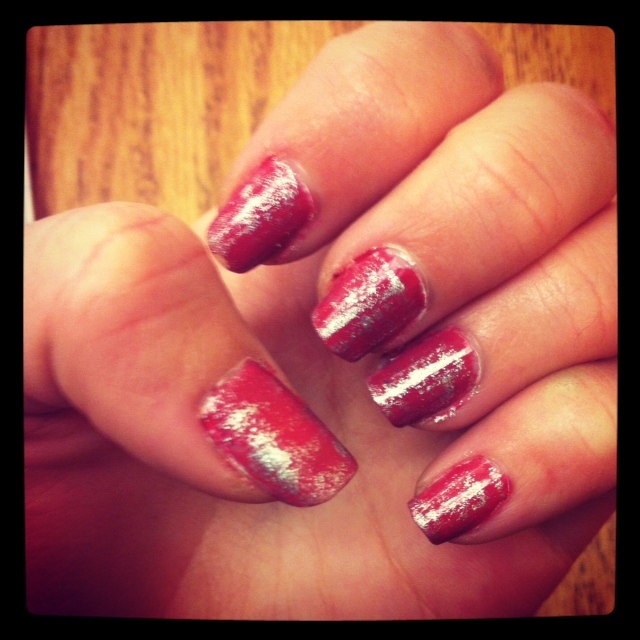 Have a happy Valentine’s day with beautiful nails!